The University degree in times past was seen as a sure fire path to success. Today, students are greeted with rising overall cost of attendance and a higher probability of ending up unemployed or underemployed. 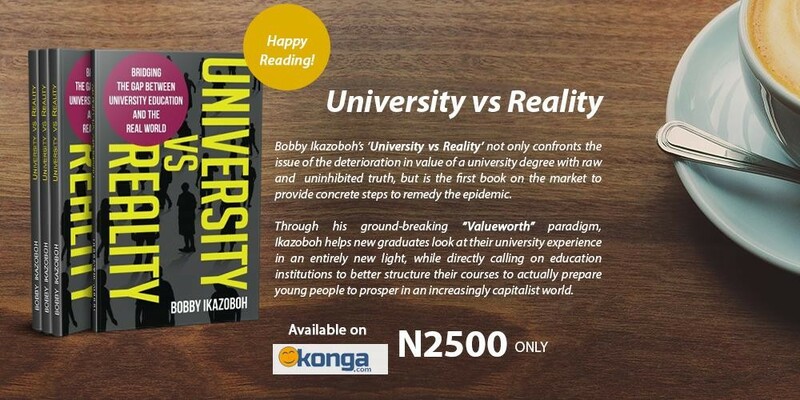 The book acknowledges that most universities, their faculty and the courses they offer are not structured or equipped to prepare students to thrive in a highly competitive, value driven capitalist world. It introduces to the reader the concept of “Valueworth” as “…anything you know, anything you have, anything you believe in, anything you can do or create, that is desirable to someone else other than you, for which that someone is willing to exchange something of commensurate value in return”; stressing that thriving in the real world is all about finding and nurturing Valueworth. While pointing out that most University graduates are yet to establish their Valueworth at the point of graduating, it suggests that in order to bridge the gap between the university and the real world, the student must ensure that the university experience is made a part of their bigger Valueworth plan for life.